Several security related issues have surfaced in the north in the past few months including discovery of some arms and ammunition in several locations followed by the arrest of several ex-LTTE leaders. Though not connected to terrorism another controversial issue arising from the north has been the alleged unauthorized entry into an army camp by a team led by the Opposition Leader R Sampanthan. The incident, though technically was not a real security threat, caused much rumpus in political circles. A mature and senior politician of Sampanthan’s caliber could have well avoided the controversy as he had all the possibility of obtaining prior permission to do so. The criticism is that this type of improper practices, if continued by other VIPs too, could eventually pose a security threat. All this shows the importance of national security and alertness despite absence of war and that terrorism has been almost wiped out from our country. In this age and time where terrorist groups are powerful enough to shake even mighty nations, emergence or re-emergence of terrorism could be a matter of time. So, the mere fact that the war is over in our country should not be a reason to be complacent about national security. These ambitions go well with Sri Lanka’s future prospects of becoming a shipping hub and the claims she is prepared to make for enhancing the her territorial seas. 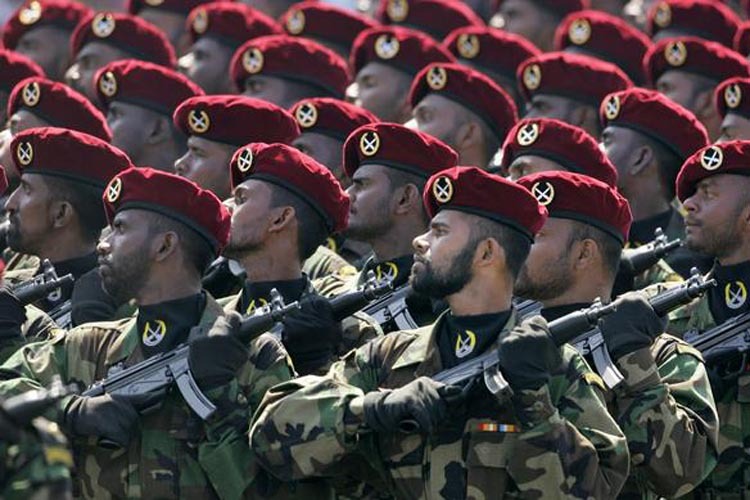 With a history of insurgencies, terrorism and war running into well over three decades, Sri Lanka can ill-afford to ignore the need for strengthening its armed forces and intelligence services. This will become more relevant as the country grows economically and increases its asset base – industrial installations, power stations, ports and airports etc. In the context of current internal and regional developments, it is likely that terrorism will continue to remain an eternal threat in the foreseeable future. No country can afford to be lax on matters of security and some of the recent happenings are a grim reminder for the necessity of being security conscious.